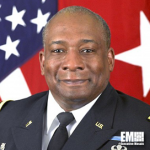 Army Lt. Gen. Charles Hooper, director of the Defense Security Cooperation Agency, has said DSCA has initiated reform efforts in its acquisition and program execution processes in a push to build up the Defense Department’s business practices, DoD News reported Friday. “We collaborate very closely across the department to analyze the timeline and milestones associated with the execution of foreign military sales and other practices in order to ensure priorities are being met,” Hooper said Friday during a Center for Strategic and International Studies-hosted panel event. He said DSCA’s security cooperation reform initiative seeks to reduce the time spent between requirements identification and delivery of capabilities and sets four conditions to achieve its goal, such as the need for a trained workforce, strategic guidance, execution and full-spectrum capability. Hooper, a 2018 Wash100 recipient, cited the agency’s creation of a workforce development directorate and the increase in its security cooperation personnel after DSCA determined the scope of its workforce through the directorate. The new directorate will build a competency assessment tool for use across DoD, develop a competency program and revise the education and training curriculum, he said. He also discussed DSCA’s role in the administration’s National Security Strategy.